We are an island resort just off the coast of Georgia. Everything is different out here, starting with the incredible variety of options that await you. Experience the history, grandeur, and manicured grounds of the Jekyll Island Club and its private cottages. 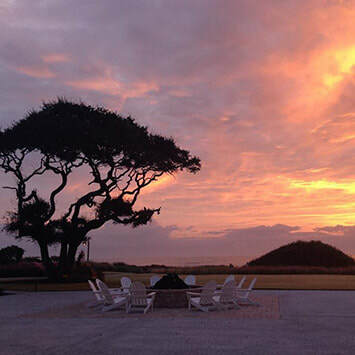 At Jekyll Island Club, we’ve created a true getaway—a chance to reconnect, nourish your spirit, and experience each new day with fresh eyes. Here, you’ll enjoy a much needed retreat—free to explore the unspoiled outdoors and gain new perspectives from stories of old. Today, there’s still plenty to experience, from the pleasures of sport, to the rewards of reconnection, and we are eager to share these with you. Please call the Reservations Desk with the information below in order to take advantage of the discounted rates. Allow the ocean waves and unspoiled beachfront to awaken your senses and experience real comfort at our perfect oceanfront getaway. 40 oversized suites feature spacious bedrooms, living rooms, and balconies to enjoy the sights and sounds of Jekyll Island. Everything has been designed to complement our oceanfront location and provide you with plenty of space. Walk or ride to the Beach Village, Convention Center, Jekyll Island Club Beach Pavilion, and so much more. The Club's suites feature plush sleeper sofas, our Beach Attendants have everything you'll desire for family beach outings, and our Concierge has so much more to share. 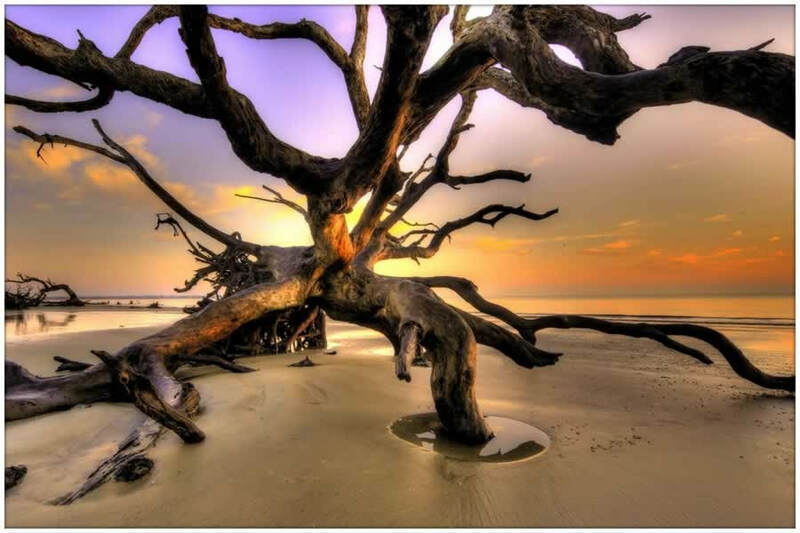 Admire the maritime forest and protected sand dunes from our newly renovated Hampton Inn & Suites Jekyll Island hotel. Explore Georgia Sea Turtle Center, splash at Summer Waves Water Park or visit Jekyll Island Club Hotel. Discover the Island by bike with over 20 miles of maintained paths.. Jekyll Island boasts three 18-hole golf courses and one 9-hole course, beautiful beaches and rich history. Capture the sunsets and the birds in pictures, or just relax. Our four-story Jekyll Island hotel provides Hampton’s free hot breakfast daily in the dining area, which features a community table. Relish a tapas menu and beverages from the lobby lounge. The Hampton Inn & Suites Jekyll Island hotel offers a walk-up window in the expansive pool area. 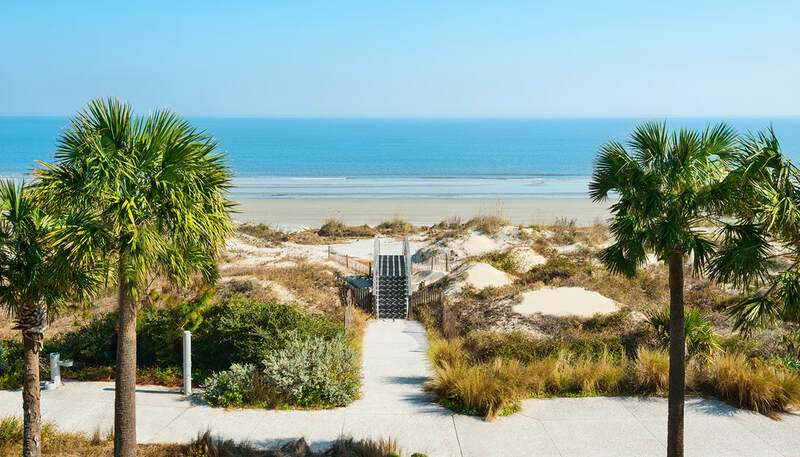 ​Holiday Inn Resort Jekyll Island is a beachfront paradise that offers a quarter-mile of private beach access, a beachside pool and playground, and on-site dining facilities including The Beach House and Tap Room. Our ideal location and extensive features make our resort the perfect oceanside retreat on Jekyll Island. With plenty of on-site amenities, from a high-energy swimming pool, whirlpool and kiddy pool, to an outdoor fire pit, Kid’s Club and playground, you can enjoy a stress-free vacation without having to leave the comfort of the resort. Please note: When using the Booking Link below, the special event rates will appear once you enter your competition dates. Welcome to Embassy Suites by Hilton Brunswick, the gateway to coastal Georgia's Golden Isles and minutes from The Federal Law Enforcement Training Center. Enjoy our spacious two-room suites during your vacation or business stay on Georgia's southeast coast. Our all-suite hotel offers convenient access to I-95. Explore historic downtown Brunswick, GA, a coastal community that dates back to 1771. Visit well-preserved Victorian-era buildings, art galleries, cafes and boutiques. Georgia's St. Simons Island, Sea Island, Jekyll Island, Cumberland Island, and all of their sandy beaches are less than 20 minutes from our hotel in Brunswick, GA. Stay in one of our spacious suites featuring a separate living area with a sofa bed. Stay connected in our business center. Join us daily for a free made-to-order breakfast. Choose from omelets, bacon, eggs, waffles, and pancakes, or lighter options including fruit and yogurt. Start your day with a workout in our fitness center or swim in our outdoor pool. After a day of business or sightseeing, unwind with drinks and snacks at our complimentary Evening Reception* before heading to one of Brunswick, GA’s restaurants. Villas by the Sea Resort & Conference Center on the north end of Jekyll Island will make you feel right at home. 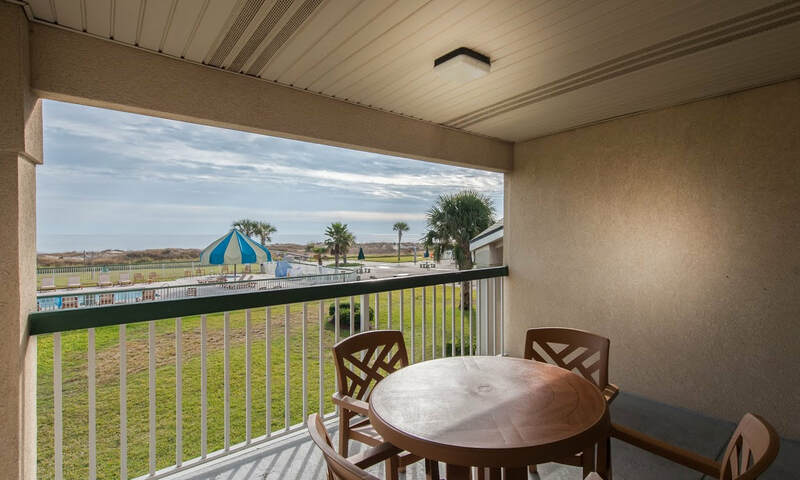 Affordable and comfortable, our Jekyll Island Beach Resort is more than a mere hotel room and ideal for your family vacation, meeting or romantic getaway. Villas by the Sea Resort, Jekyll Island, is the perfect Georgia beach vacation. Our beautifully appointed rentals and hotel rooms are a Jekyll Island tradition. Spend time at Villas by the Sea and enjoy a vacation that provides you a chance for family time, or a couple’s getaway that won't break the bank. Our villas are spacious, comfortable and unique whether you stay with us for a day, a week or a few months. Come enjoy our spectacular sunrises as well as our striking sunsets at Villas by the Sea Resort and Conference Center. We have it all and the Villas by the Sea has the best rates on Jekyll Island. Villas by the Sea is the largest beach resort and hotel on Jekyll Island. We are nestled among 17 Oceanside acres of lush landscaping and towering windswept oaks. Our hotel rooms and condominiums are spacious and well appointed. Each lodging accommodation has its own unique style. Whether you select a mini, one, two or three bedroom villa, you will find all the comforts of home. The nature trails at our coastal Georgia resort meander beneath natural oak trees as they create a canopy of shade. Get ready to relax and unwind at the Villas by the Sea Resort on Jekyll Island. As one of the most prominent hotels and vacation rentals on the island, we deliver everything you and your loved ones will need for a relaxing yet fun modern beach getaway!